Many small businesses do not understand the difference between cross-docking vs warehousing and shipping services. The goals of any shipping procedure is to deliver product from your business to a customer with as minimum damage, cost, and time as possible. Warehousing and shipping procedures require a distributor with stocks of product on hand to deliver to customers. 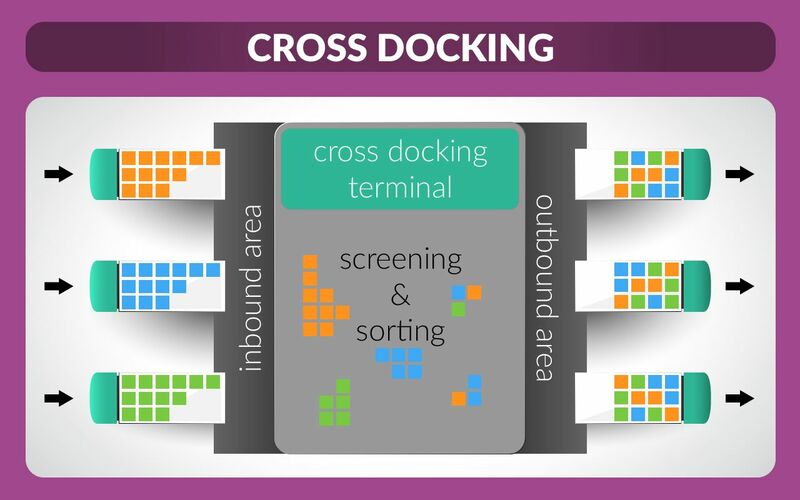 Cross-docking is the unloading of product directly from incoming transport onto outbound transport with little, if any, long-term storage in between. A good third-party logistics (3PL) team will offer cross-docking to benefit your business and expedite the shipping process while continuing to provide traditional warehousing as needed. There are many benefits to cross-docking vs warehousing procedures. Some of these include reduced costs, a simpler shipping relationship, a decreased risk of damaged product, time saved, and more. Every time you are storing inventory long-term, you are renting that square footage from your logistics partner. Although there are times when this is an absolute necessity, often these costs can be avoided through shipping items right when it is ordered and using cross-docking to get it to it’s destination as fast as possible. Warehousing can involve several parties including trucking or logistics partners, and parcel delivery systems. Cross-docking eliminates the need for multiple business relationships by allowing one 3PL team to handle the warehousing and expedited shipping. Normally stock is picked and directly shipped out to the clients, the inventory pileup in the warehouse is reduced, and this naturally translates to moving towards just in time inventory models which benefit everyone in the chain. One of the greatest benefits of a cross-docking system is the decreased time it takes to ship items. Finding a dedicated logistics partner with this service will help you reduce costs and shipping times, clear up your schedule, decrease risks to your products, and provide on-demand shipping. Despite the increase of speed, cross-docking actually reduces the risk of damage to your products. The risk is always increased when humans are involved and the cross-docking process significantly reduces at least two steps where human error is possible: moving products into and out of storage. Nebraska Warehouse Company in Omaha provides a variety of different and quality services. Whether you are looking for custom, local storage warehouses, transportation, contract warehousing, trucking, and more for businesses. Long-term customer satisfaction is our primary goal.